Welcome to Emerald View Villa. 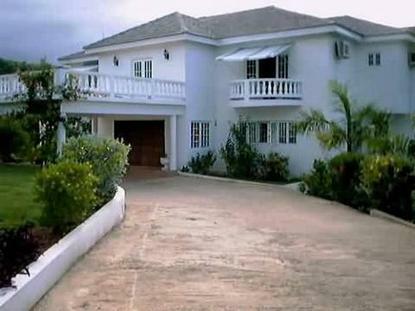 The number one B and B in Montego Bay, Jamaica. Emerald View Villa is a romantic and enchantingly beautiful Bed and Breakfast with 17 rooms, each with air conditioning and cable television. We offer a very private, intimate and personal vacation like the rich and famous but at a price you can afford. Treat yourself to the type of vacation you have always dreamed of. At Emerald View, you are not just a lost face in the crowd. Our Resort Guest House Villa is nestled on a hilltop about 500 feet above sea level, overlooking the Caribbean Sea and a small rustic village below. Almost all rooms have a panoramic view of the ocean and the mountainside. Imagine watching the sunrise and sunset without leaving your room.